Welcome to the Home of the Scroll Saw Blades Intro Packs! Click a category below to learn about our other products ! Featuring Scroll Saw Blades and Tons of Scroll Saw Patterns and Woodworking Plans! Home Page Be Sure to Explore our Site and Check out All of our NEW Products! 8in. long x 1in.diameter. Prolongs blade life and produces smoother and quicker cuts. Specially compounded to keep metal, plastic, and wood cutting blades from clogging with wood chips or pitch. 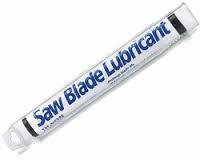 Use on all power and hand held cutting tools including band, scroll, circular, hack and jewelers saw blades. This kit converts most 16in. 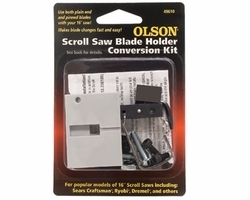 scroll saws to accept both plain end and pin end blades! Use on wood, cardboard, plastic, metal, glass. Special Price when you buy Two! USA orders ship for Flat rate of just $4.50 regardless of how many items you order. On Average we ship orders within 1 to 2 business days.Expedited USA shipping is available. Orders are transmitted through Authorize.Net which offers safe transactions for your peace of mind. Scroll Saw Questions Scroll Sawing History About Lesley's Patterns, Ltd.
© All Rights Reserved. 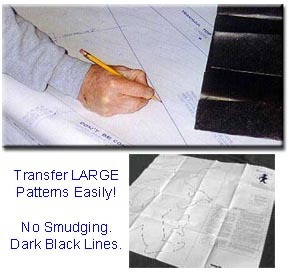 Lesley's Patterns, Ltd is a Registered ® Trademark.